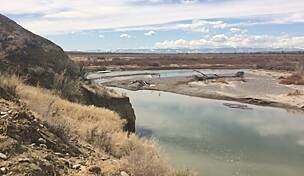 Greybull is a small town about an hour’s drive from Cody, Wyoming. Its Riverwalk is along the town’s eastern edge, running its entire 3-mile length from north to south along the Big Horn River. 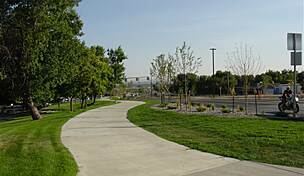 The paved riverside pathway is a favorite recreational spot and a good location to view native wildlife including deer, eagles and even rattlesnakes. 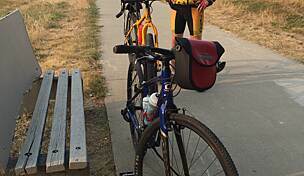 The main entry point to the trail lies under the Big Horn River Bridge’s on US 14. 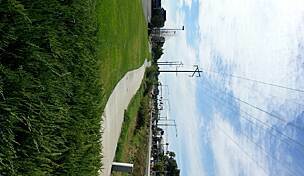 The trail designers also helpfully created multiple access points from the neighborhoods adjacent to the trail. 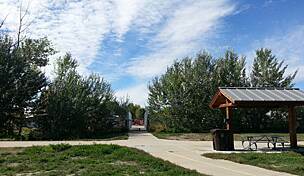 The trail passes close to the Greybull City Park. 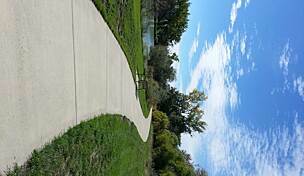 The park hosts a variety of amenities including restrooms, tree-shaded picnic tables, walking paths, skate ramps and a children’s play area. 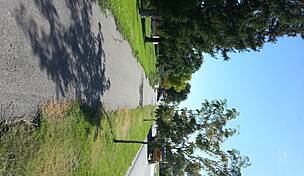 From the park’s northern end, you can access the trail via 2nd Avenue; from its southern end, past the Senior Center, you can enter the trail via 5th Avenue S.